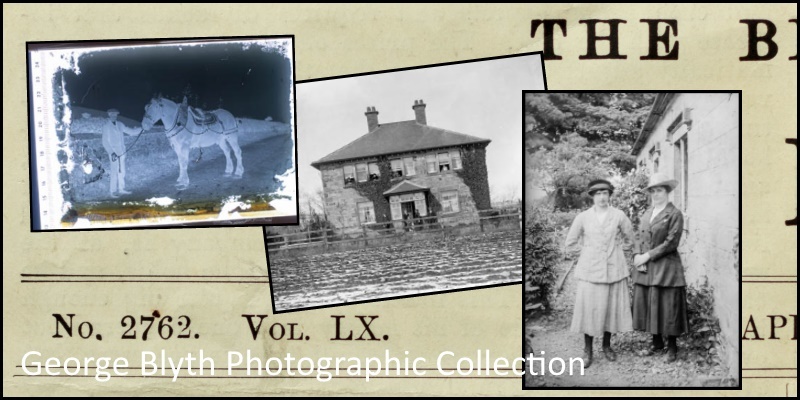 George Blyth was a keen photographer, who took several photos of the goings on in the Breamish Valley. Sixty-two images held in the Breamish Valley Photographic Collection are credited to George (see for example Huntsman with Dog, Five in a Boat and Motorcycle K.T.1790). From at least 1901 until around 1939, George was a rural postman, delivering mail to the villages in the Breamish Valley. 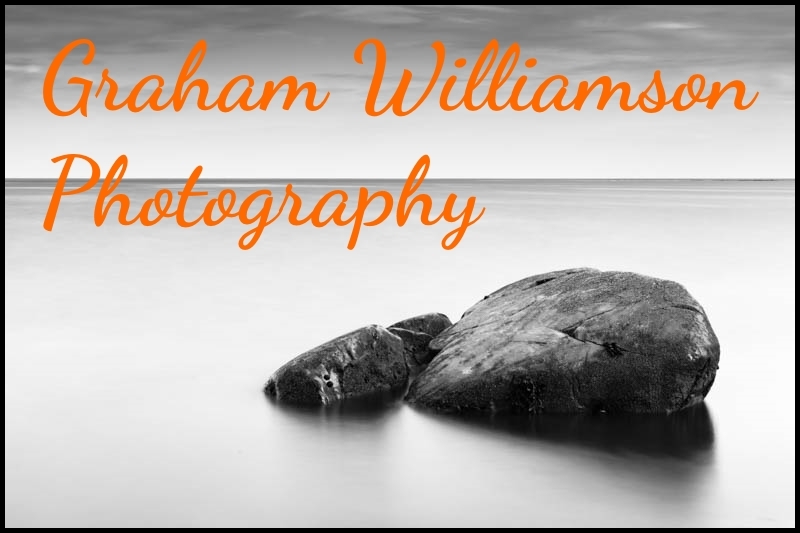 It’s easy to imagine how, through his daily work routine, he would have come to know the people and the area well and how he would have had access to the community to explore and enjoy his hobby of photography. 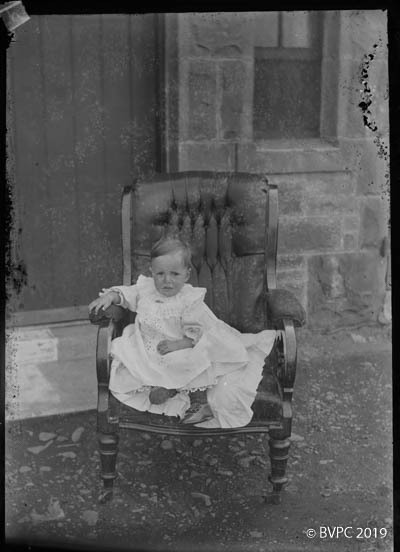 George was born on 27 May 1875, the eldest son of Charles and Elizabeth Blyth. He had two brothers: Robert (b. 1877) and Walter (b. 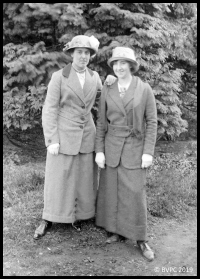 1888), both of whom worked as gamekeepers. George is known to have lived with his grandparents near Eglingham until at least 1901, at which time he was 26 years old and working as a postman. By 1911 he was married and living at Roseden, Wooperton Station, and still working as a postman. The National Registration Act 1939 records indicate that George was now living at Percy’s Cross. [Interestingly, George had taken photos of both the Percy’s Cross and Percy’s Leap monuments around 1914.] He was still married but had retired as a postman. 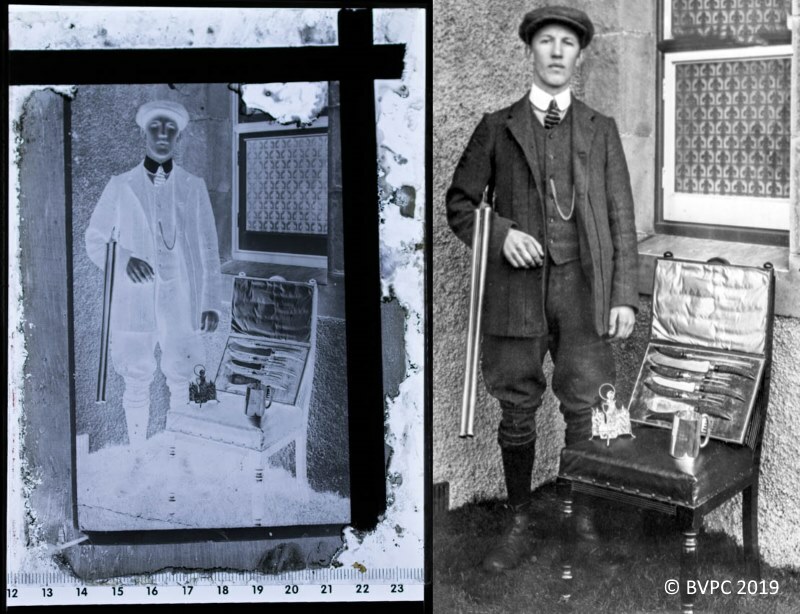 Around 100 silver gelatin dry photographic negative glass plates of images taken by George during the WWI period are now in the Breamish Valley Photographic Collection (BVPC). The plates had come into the possession of David Taylor of Percy’s Cross, Northumberland around 1974. David kindly bequeathed the plates to BVPC in January 2019. 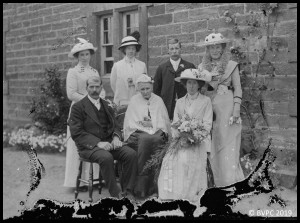 George Blyth’s collection of glass negatives comprised approximately 100 plates. They had been stored in a box in an old garage for several years and around 23, while physically intact, were found to be damaged beyond reasonable repair, and several other plates had broken into pieces. 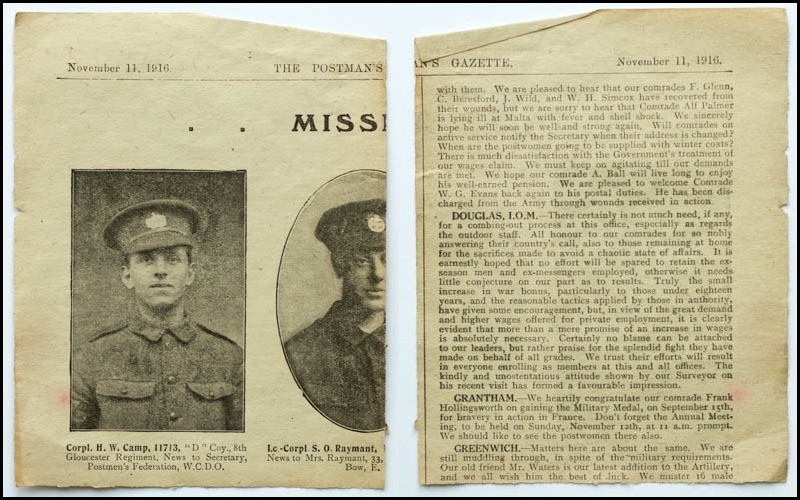 This, therefore, suggests that George Blyth’s photos were taken during the World War I period (the newspaper dates covering 1913-1917). This is further supported by some of the subject matter in the photos. For example, the motorcycle in the image Motorcycle K.T.1790, is known to be a 1914 Douglas motorcycle. Also, we are informed that the image Bamburgh Village and Castle must have been taken between 1889-1900 for two reasons: (1) the house on the extreme left of the photograph was built in 1889, and (2) there is no sign of the castle renovations, that began in 1900. George would have been 14 years of age in 1889 and 25 years of age in 1900. In addition to the above, the main period of use of gelatin dry glass plate negatives was 1880-1925 (Conservation Wiki). After this time, plastic film became more readily available and cheaper to use and eventually replaced the glass plates for everyday amateurs. 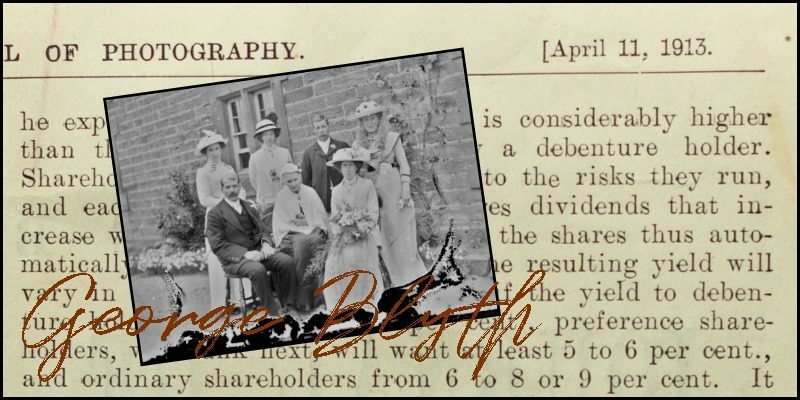 In conclusion, while we cannot be certain, the circumstantial evidence does suggest that George Blyth’s photos were taken in the period 1900-1920. 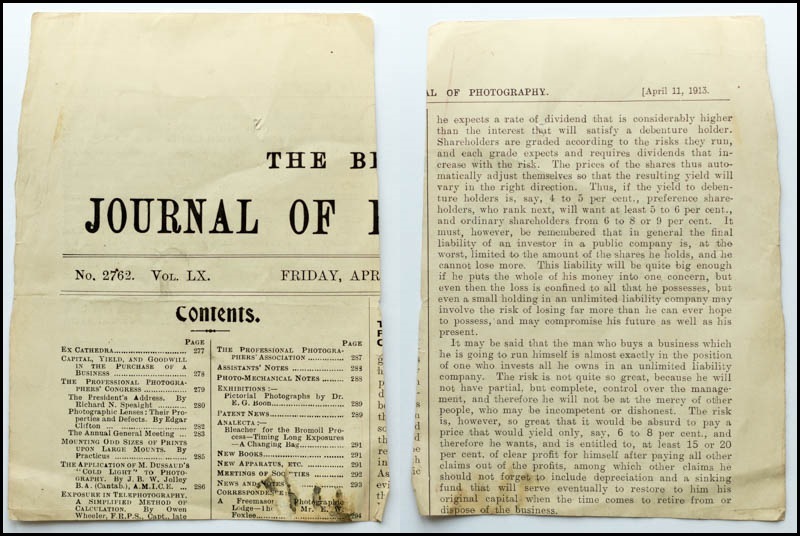 The types of newspapers found also resonate with what we know of George: that he was a postman (and he read The Postman’s Gazette) and that he was an avid amateur photographer (and he read the British Journal of Photography). We might also surmise that he kept poultry (he read the Poultry newspaper) – a common enough countryside practice at the beginning of the 20th century. While the subject matter of George’s images is varied (including animals, gardens and gravestones), he focussed mainly on photos of people and the physical structures and architecture around him. In addition, he predominantly produces so-called environmental portraits. These are photos that capture the subject(s) in their typical environment, e.g. at home, in their workplace (as shown immediately above). Such images can serve to tell us something about the subject’s way of life and their habitual surroundings. George seemed to be especially interested in portraits, as three of the images in his collection appear to be photos-of-photos, i.e. George has re-photographed original paper print photographs. 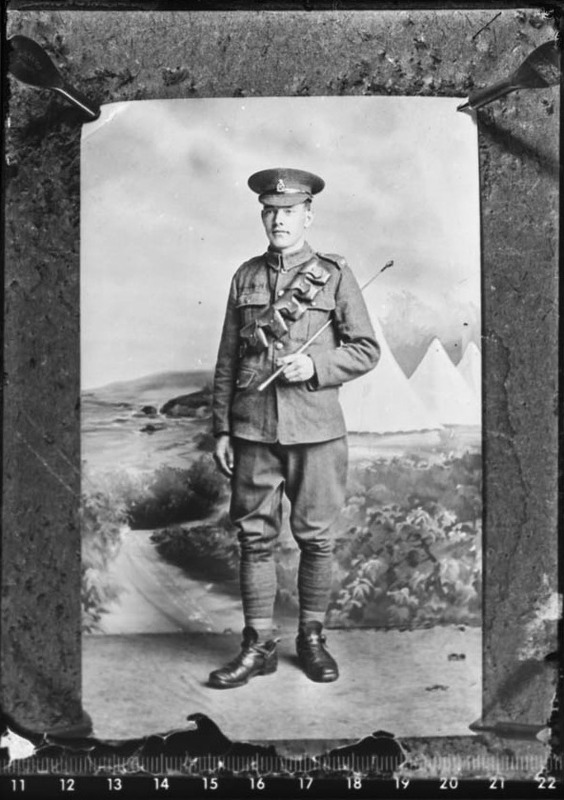 For example, on the glass plate showing Soldier with Baton, it is clear that this is a photograph of a printed paper photograph (of the soldier holding a baton) that has been pinned to a board. You can still see the large metal pins holding the paper photo onto the board and the shadows cast by the pins, demonstrating that George re-photographed the pinned-down photo from above with an additional light source directly above. The non-cropped image, showing the pins, is reproduced below. Similarly, Oval Portrait of Soldier (reproduced below) is a likely candidate for another photo by George of a printed paper photograph. The original studio portrait of the soldier appears to have been developed through a mask to create the popular oval framing effect. 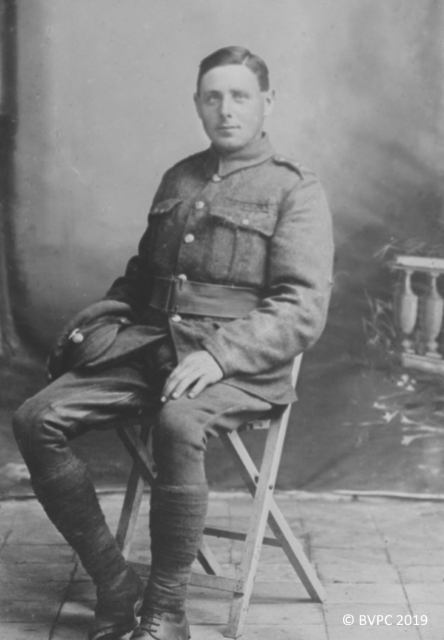 Finally, on the assumption that George did not have his own studio setup, glass plate Soldier Sitting with Hat would also seem to be a photograph taken by George of an original printed paper studio-produced photograph. 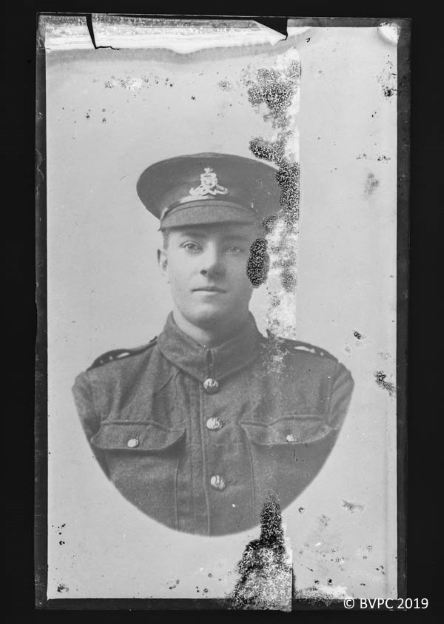 In addition to the three photos-of-photos of portraits, George also has a photo-of-a-photo of some soldiers in a trench. 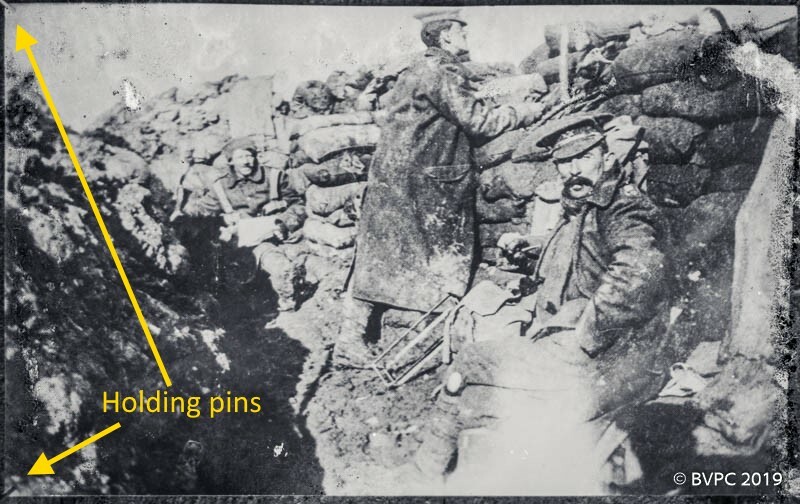 As with Soldier with Baton discussed above, one can similarly see at least two pins holding the original photo onto a board: one in the top left corner and one in the bottom left corner. Given George’s interest in taking photos of photos, it’s intriguing to speculate as to whether he was practising a photographic technique – perhaps one he read about in The British Journal of Photography that we know he read? Interestingly, all the photos-of-photos that we have from George’s collection are of military personnel. We are grateful to Jane Glass for providing details of George’s genealogy as part of her research into her own family history.